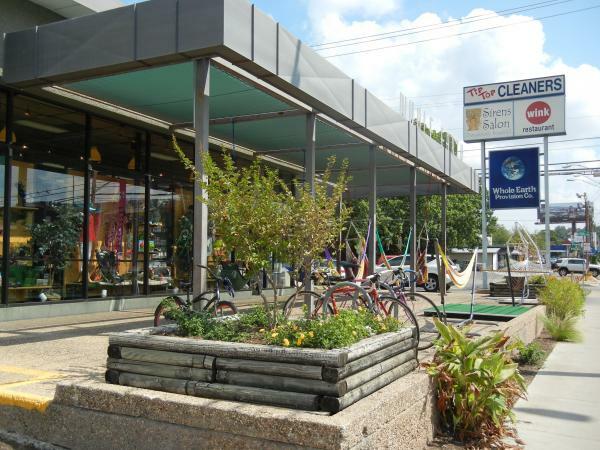 Flood-damaged Austin store celebrates return to business. Many stores beloved by UT students have come and gone over the years. But the original Whole Earth Provision Co. has survived and thrived one block from campus since 1970. Forty-five years later, Whole Earth has grown to nine locations in Austin, Dallas, Houston, San Antonio and Southlake. Like any lifetime, there have been ups and downs. One of those ‘downs’ on Memorial Day weekend sent swirling floodwaters from nearby Shoal Creek through Whole Earth’s North Lamar Blvd. store, smashing windows and filling it with three feet of water in a matter of minutes. One of the ‘ups’ happens when, after months of cleanup and remodeling, Whole Earth at 1014 North Lamar hosts “Coming Home — Giving Back” a reopening celebration featuring a donation and fund drive, discounts, prizes, giveaways, educational talks, a Gratitude Wall and fun for the entire family. Whole Earth will donate 5% of the North Lamar store’s sales to Barnabas Connection Flood Relief for Wimberley and 5% to the Shoal Creek Conservancy on the weekends of October 17 and 18 and October 24 and 25. A Register Fund Drive for the groups offers gratitude gifts for donations over $50. Visitors to the North Lamar store during “Coming Home — Giving Back” may enter drawings for $5000 worth of prizes including: Yeti Coolers, a Tommy Bahama Stand-Up Paddle Board, sunglasses from Costa, shoes from Birkenstock, Chaco and Keen, clothing from ExOfficio and Prana, wind chimes from Music of the Spheres, sport bottles from Thinksport and a giant stuffed animal from Melissa and Doug. Entries will be accepted from October 17 until October 25 at 5 pm, but only at the North Lamar store. Other events include: an October 18 visit from the Texas State Park Rangers with answers to questions about “Where to Park?”; Steven Gonzalez’ fascinating history of El Camino Real de los Tejas, the Spanish Colonial highway that passed through the area and is now designated as a National Historic Trail on October 20; and TreeFolks’ Sapling Giveaway on October 24. For more information go to www.wholeearthprovision.com.